Brook Guitars produce high quality handmade acoustic guitars in a rural workshop on the edge of Dartmoor in the South West of England. Over the years the area has become a centre for many musical instrument makers of all disciplines. This has created a pool of skills, knowledge and facilities as well as providing a healthy interaction between makers unlikely to be found in other areas of the country. After spending a number of years working with Andy Manson, one of the country’s longest standing and most respected luthiers, Simon Smidmore and Andy Petherick formed Brook Guitars, initially to produce A.B.Manson & Co.’s standard range of instruments allowing Andy to concentrate on his unique instruments. 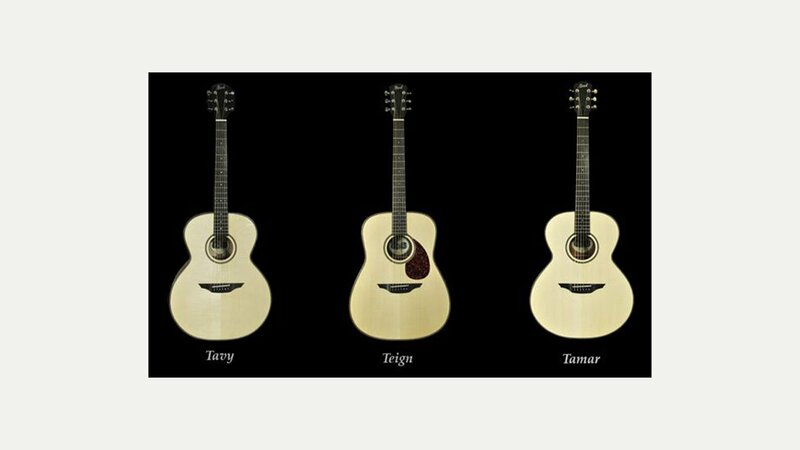 Simon and Andy expanded the business, employed Simon’s son Jack, Kevin and occasional part-time staff to produce a range of their own instruments marketed under the name Brook Guitars and named after West Country rivers. Three Brook customers have been voted ‘Guitarist of the Year’ along with Adrian Legg, another Brook owner, who was voted ‘Guitarist of the Decade’ by Guitarist magazine. Many professional players use their guitars and of course many customers who play purely for their own enjoyment. They’ve built up an enviable reputation for quality and their continuing enthusiasm is clear to their customers, many who return for their second or third Brook!